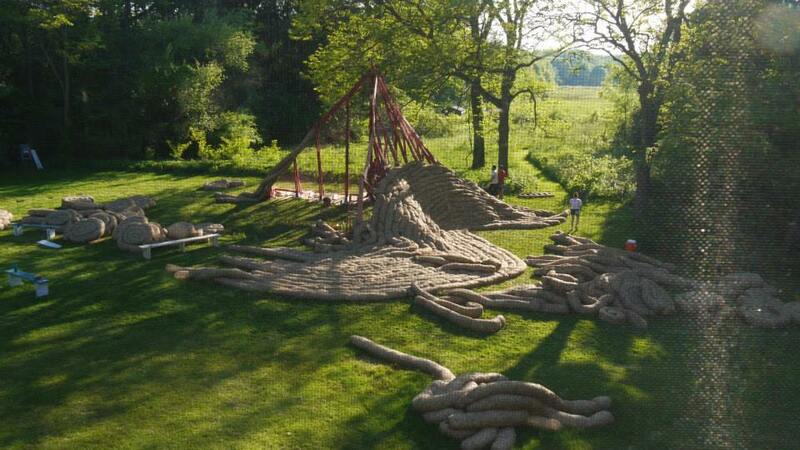 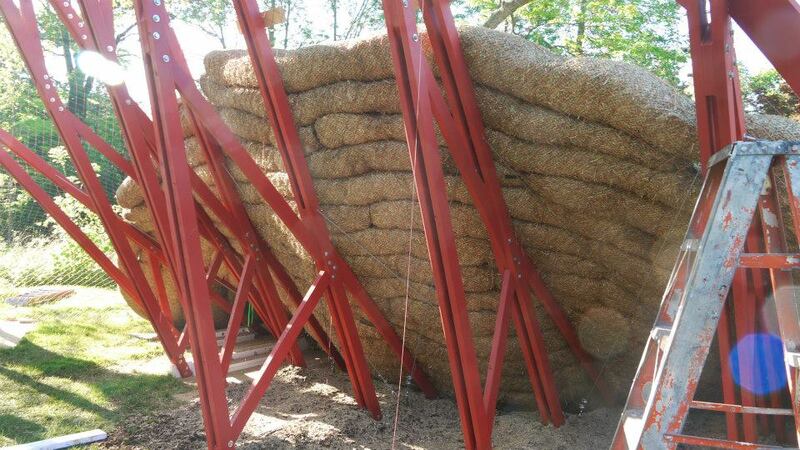 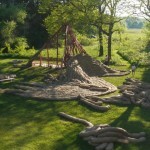 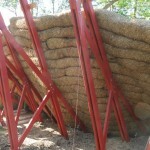 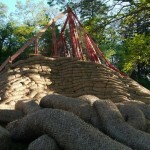 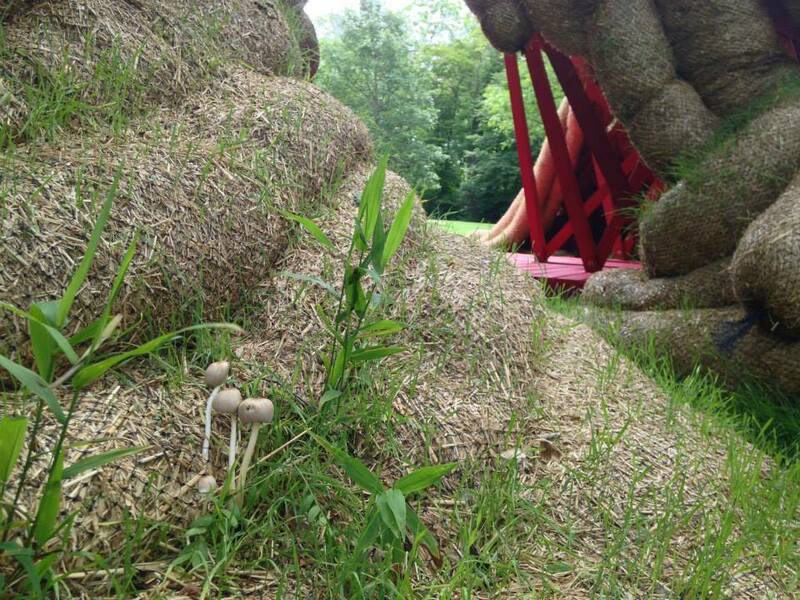 Work wrapped up this summer on Bittertang Farms’ installation at Ragdale, the nonprofit artists’ community in Chicago’s North Shore suburbs, and true to its plans the straw amphitheater springs forth from a lush hillside in Lake Forest, Illinois. 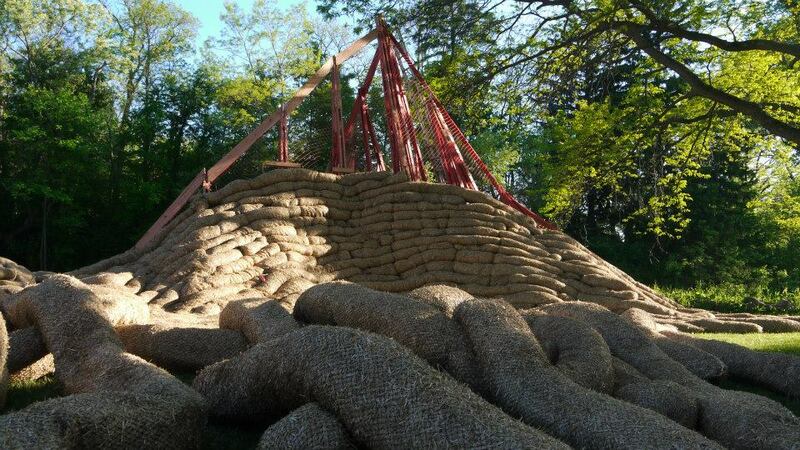 Designers Michael Loverich and Antonio Torres of The Bittertang Farm won $15,000 earlier this year to erect the 102nd Ragdale Ring—an ongoing design competition for temporary outdoor theater spaces in north suburban Chicago. 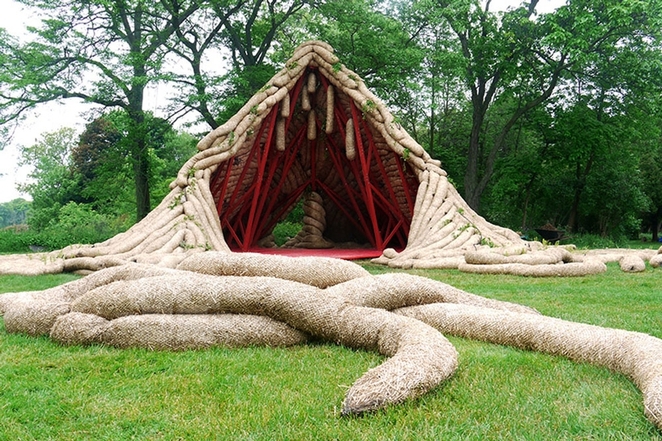 Based in Mexico City and New York City, the designers evoked the theater’s bucolic setting with straw-filled tubes of biodegradable material. 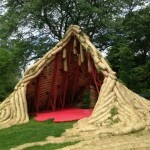 Dubbed Buru Buru, Bittertang’s amphitheater creeps up from the soil with straw wattle tendrils. 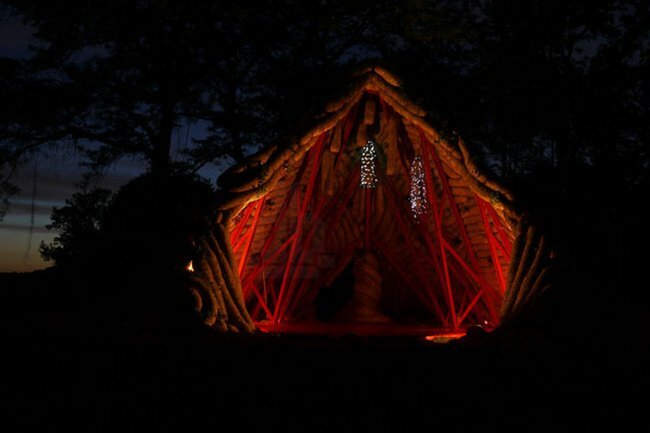 Wrapping around a framework of trusses, it forms a pentagonal opening whose womb-like quality is only enhanced by LEDs that illuminate the interior at night. 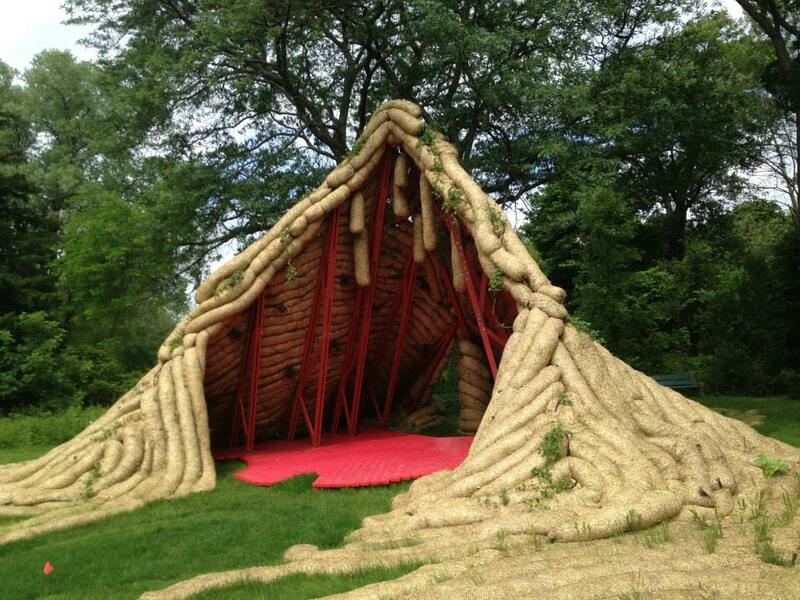 Buru Buru’s organic elements are more than a formal nod to fuzzy ideas—the structure is actually meant to entwine with its natural habitat over time. 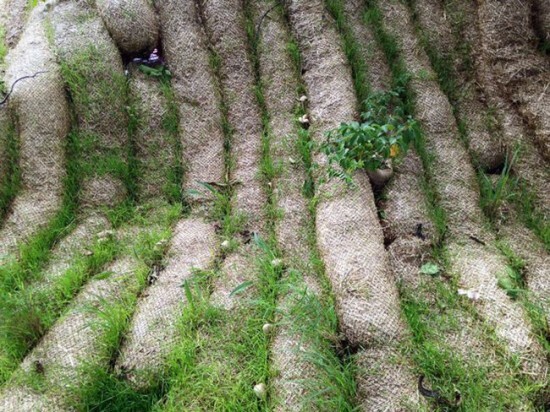 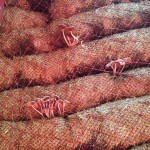 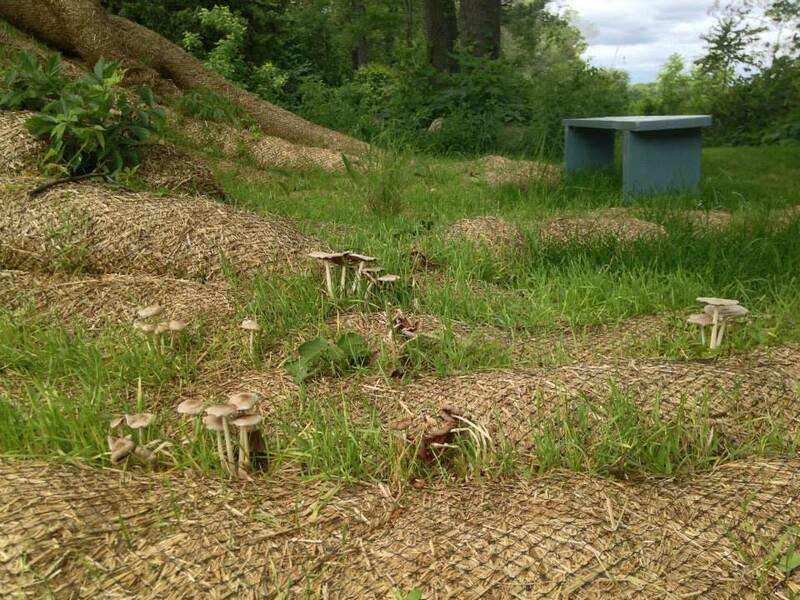 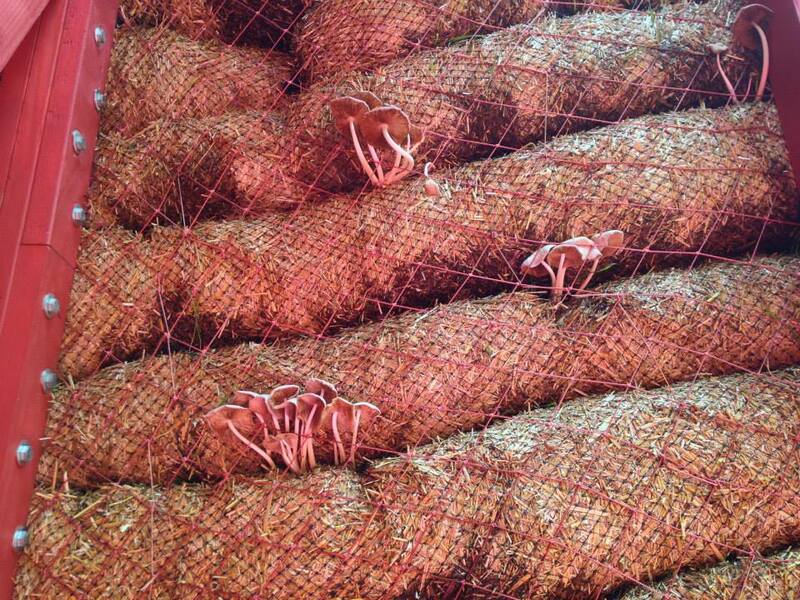 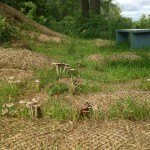 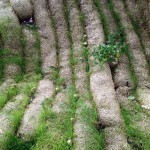 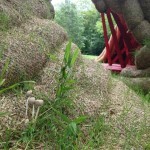 In addition to sheltering actors and activating the rolling hills of Lake Forest, Buru Buru is also a substrate for growing grasses and mushrooms. 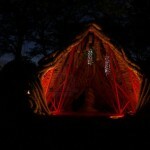 Buru Buru is lit by LEDs at night.